Talakona waterfalls are situated in Sri Venkateswara National Park in Chittoor District of Andhra Pradesh state. With a height of 270 feet, it is the tallest waterfall in Andhra Pradesh. At a distance of 49 KM from Tirupati, 220 KM from Chennai and 105 Kms from Chittoor, Talakona Falls are situated at a distance of 23 KM from Bakarapeta which is the nearest town. The waterfalls are placed amidst dense forest surrounded by natural beauty and greenery. It is believed that the water of Talakona Falls is enriched with healing powers. junglebook is a place in Tirumala mountain carved to natural secured park by forest department, this is one of the fun filled places to visit in Tirupati and struck by major amount of tourists who visit Tirumala. The Mamandur forest located on Chennai – Kadapa High way, consists of high degree of bio diversity along with some highly valuable endemic and endangered species. The forest is deciduous type but mixed with some ever green elements. Mamandur is bountifully endowed with nature in the form of hills and valleys, many picturesque spots and seasonal waterfalls and ponds of Eastern Ghats. 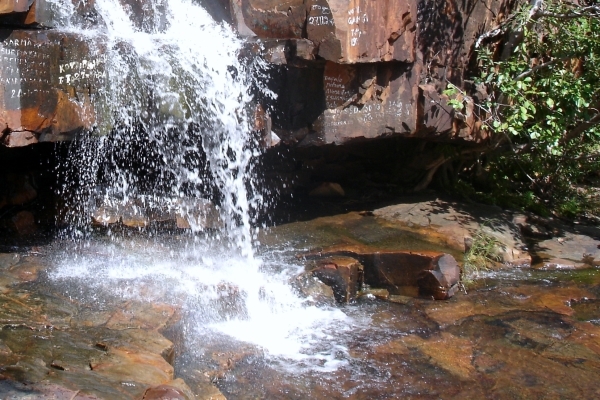 It is said that Papanasam theertham stream is a sacred stream which is found 3 miles away from the tirumala temple. 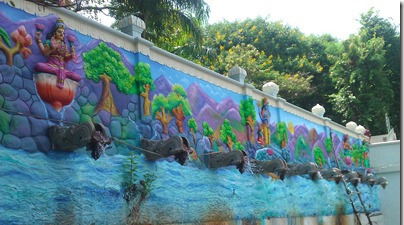 As the name implies, If taken a shower at Papanasanam one can get rid from all the sins, as it is believed that this water comes from the feet of the Lord.